Hunter Brown is the inaugural head golf coach at Goucher College and is tasked with founding the Gophers first-ever men’s and women’s golf programs. Brown launched both Goucher's men's and women's golf teams in the fall of 2017. Coach Brown played collegiate golf at the University of Texas at Arlington from 2009-2013 garnering three-time all-conference honors, two-time All-America Scholar honors, a Southland conference team championship, and the opportunity to compete in multiple NCAA regional championships. Brown served as a team captain for the Mavericks and was known for his outstanding short game, committed leadership, and tireless work ethic. Since graduation, Brown has competed professionally at various levels. Notably, he was a Monday qualifier for the 2014 PGA Tour’s Valero Texas Open. Though Brown has shifted his full-time focus toward coaching, he still competes in professional events in the offseason. Coach Brown sees his past and ongoing competitive experience as a major asset in his role of developing golfers at Goucher. Additionally, Coach Brown has worked with the organization College Golf Fellowship and through this experience he developed a passion for positively influencing student-athletes on and off the course. Brown is committed to creating an environment at Goucher that allows his players to develop and succeed athletically, academically, and personally. In May of 2015 Brown married his wife, Amberle, and since then they have been residents of Baltimore. Brown is also an active member of Freedom Church and a part-time graduate student in a Masters of Arts in Theology program at St. Mary's Seminary and University in Roland Park. 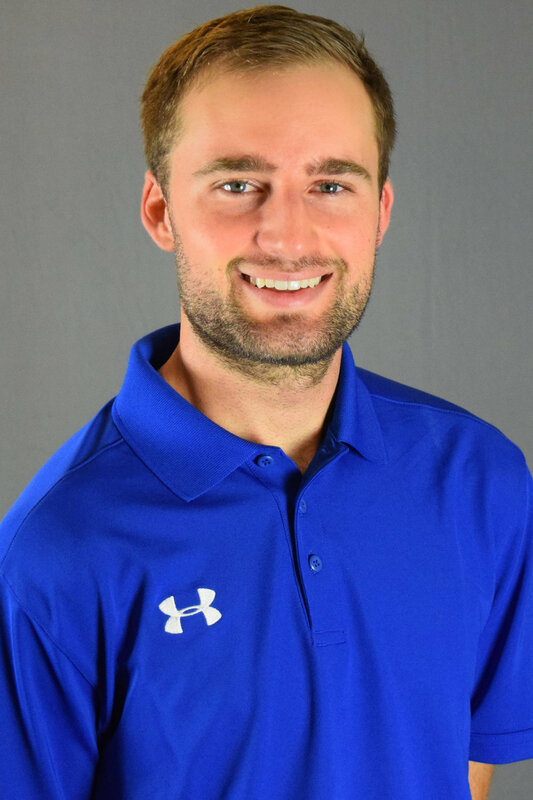 Cam Hollek is the assistant coach for the Goucher men's and women's golf programs. Hollek joined the Gophers athletic department after a stint as the Director of Golf at Payne Stewart Memorial Kanakuk/Kids Across America Summer Camps in Branson, Missouri. For Hollek, the job was an opportunity to return to the golf world full time, as he worked in the real estate industry for two years (2015-2017) prior to taking the position. Collegiately, Hollek was a teammate of Coach Brown's at the University of Texas at Arlington, where he was a member of the Mavericks' golf team for four seasons. Hollek registered a sub-75 scoring average in three of the four seasons he was on-campus, while also serving as a member of the Student Athletic Advisory Committee (SAAC) for four years. After earning a bachelors degree in business-marketing from UT-Arlington in 2013, Hollek played professionally for two years (2013-14), while also working as the assistant pro at Texas Star Golf Club & Vaquero Club in Fort Worth. Professionally, Hollek captured a Texas Fairway Tour event at Great Southwest Golf Club, firing a six-under-par 65 to win the tournament. He registered a scoring average of just over 72 on the Fairway Tour in 2013. Additionally Hollek has competed in numerous Web.com and PGA Tour qualifying events and has caddied in a pair of PGA Tour events.